From the moment the Partnership was formed, skills development and training have been identified as crucial aspects of supporting the cattle industry in Indonesia. Since 2015, the Partnership has allocated a total of AUD $6.6 million to skills development programs. It has also supported a range of specialist training modules to enhance the knowledge of various stakeholders in the sector. The Partnership’s established short courses cover a range of industry skills, including: animal husbandry and cattle production; policy development for livestock production and supply chains; meat production and supply chain management; and sharing of good practice in the Australian and Indonesian livestock industries. Early in 2018, the Partnership, developed a short course called the Commercial Cattle Breeding and Management Training Program. The course aims to expand the breeding and managerial expertise of organisations in the Indonesian cattle industry. The course also aims to help feedlot companies diversify into cattle breeding. Two courses were held from 2 – 29 April and 17 September to 5 October 2018. Both courses were held in Indonesia for two weeks and one week in Australia, with a host of participants applauding the nature of the training. “Breeding is currently our main priority. We want to produce calves that can meet the Australian standard, and I feel challenged to make breeding more commercially feasible.” she added. Mr Randi Purnama, Feedlot Supervisor at PT Bina Mentari Tunggal (KIBIF Group), was grateful he was able to join the training in Australia. While there, he was able to learn about cattle breeding and management. “Every year, thousands of Australian cattle are exported. The key to success in Australia is a good breeding system that leads to an increase in the cattle population. This is also a challenge for all Indonesian stakeholders. We must work hand-in-hand to develop a good and feasible breeding system by maximising existing potential.” Mr Randi said. Meanwhile, Mr Rudi Adriansyah, another participant of the 2018 training program conveyed that he wanted to address the challenges he found while working for PT. Astra Agro Lestari. For Mr Rudi, being able to observe other companies in the same industry was a valuable experience for his career. “I think a program like this is very important to build the capacity of people working in the cattle industry,” he said. Ms Bernadetha Anna, the feed coordinator at PT Austasia Stockfeed and also this year’s participant, agreed. “I joined this training to gain new experience and knowledge on commercial breeding,” she added. Mr Ketut Karya Wisana, Feedlot and Breedlot Manager of PT Lembu Jantan Perkasa, believes the delivery of the training encourages participants to think outside the box and share their learnings. He said the strength of the program is the people in it. 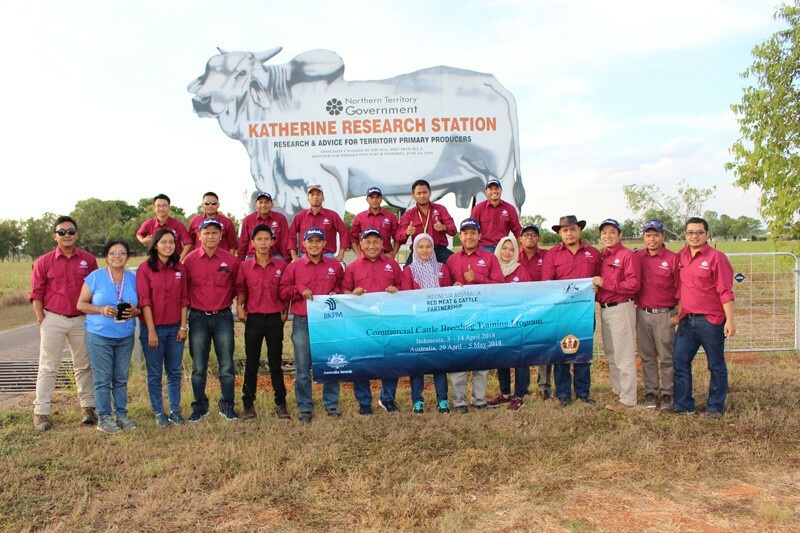 During the final session of the Indonesian program in Lampung, participants—with support from the Association of Indonesian Beef Cattle Businesses (Gapuspindo)—reaffirmed their commitment to improve commercial cattle breeding in Indonesia. They moved to establish a forum for Indonesian breeding practitioners, with this new platform to be called the Breeding Management Officer Network. 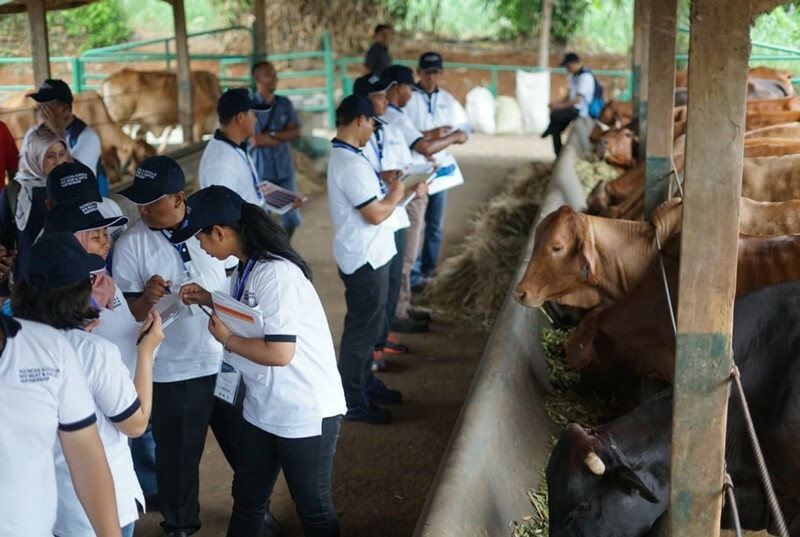 “It is hoped that the first group of alumni from the training program, who established the Breeding Management Officer Network, can be part of the Partnership’s efforts to support cattle breeding in Indonesia,” said Mr Rizaldo Arbet from Gapuspindo. 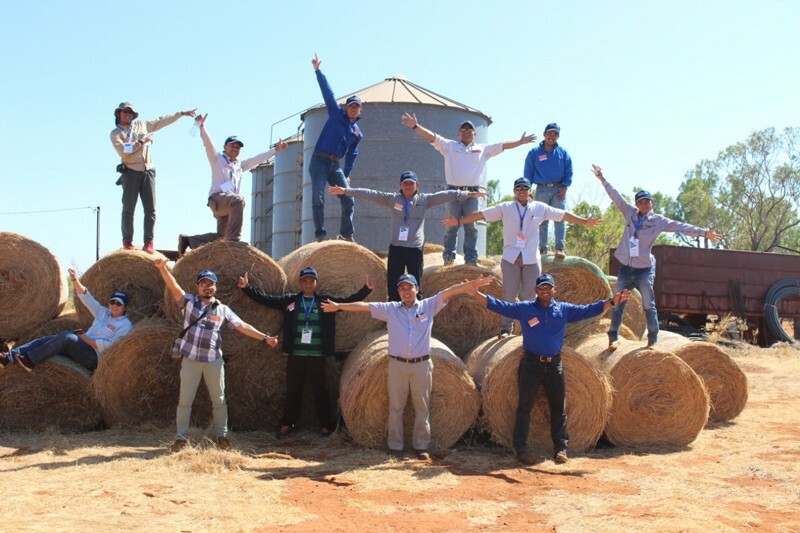 The Australian program for the cattle breeding and management course started in Darwin and was facilitated by the Northern Territory Cattlemen’s Association Participants made site visits to the Berrimah Export Facility and the Phoenix Park Cattle Yard. The remainder of the Australian program was supported by the Northern Territory Department of Primary Industry and Resources and was conducted at the Katherine Research Station. Participants undertook a combination of practical and theoretical lessons on commercial cattle management. The course covered topics such as nutrition, weaning management, pasture and forage management, health issues in breeding, bull handling, stock handling and cattle reproduction. The Indonesian program included field visits to cattle-breeding operations in West Java, South Kalimantan and Lampung. During these visits, participants learnt about integrated cattle breeding systems in palm plantations, smallholder engagement in commercial and sustainable cattle breeding, and intensive breeding operations. The site visits are a key component of the training program because each cattle breeding area in Indonesia has different characteristics and each breeding model has the potential to be adapted for use in other areas. Dr Rochadi Tawaf, a senior lecturer in Animal Husbandry at Padjadjaran University, said the site visits to three different provinces allow participants to identify which cattle breeding model has the most potential to be developed in their particular area. “The cattle breeding models observed are new concepts that can be further developed in Indonesia, and this will be commercially feasible with support from the government,” Dr Rochadi says. For more information on the Partnership’s Skills Development Program, visit redmeatcattlepartnership.org.